During the summer of 2012, before heading to Nepal, Alan Rousseau and I got together for a little training mission. We had decided that before going to attempt new routes in another country, at high altitudes, on the biggest mountains on earth, we should try some new routing closer to home. 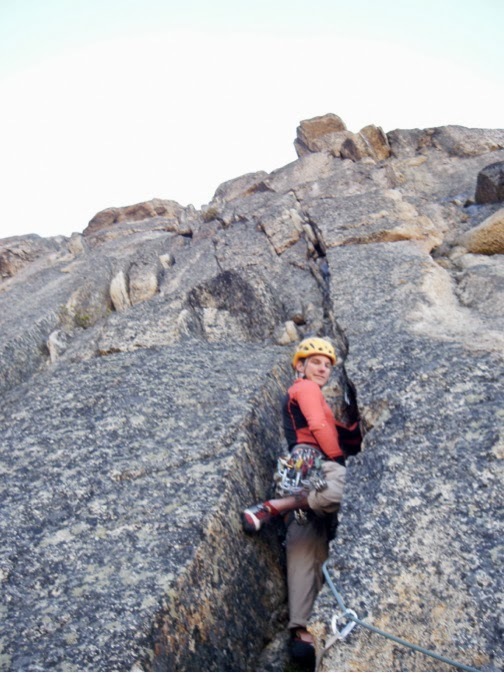 Many people, myself included, have a sense that the Cascades are largely climbed out. However, on this day I discovered the truth is quite the opposite. 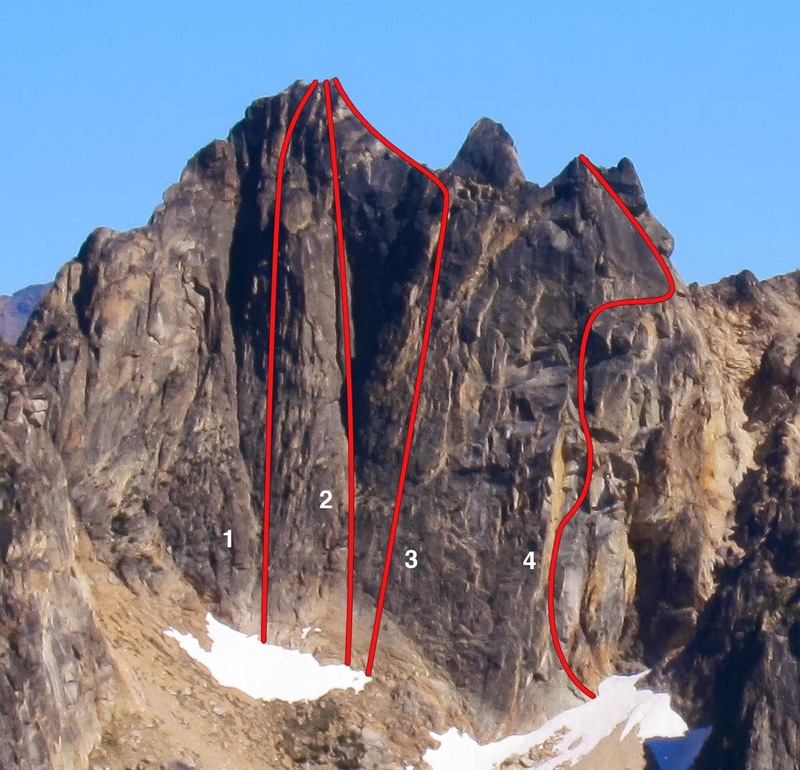 Half Moon Spire from the Washington Pass Hairpin. Number 1 marks our route. We set our sights on Half Moon Spire, and after only 2 hours of walking, we were at the base of the cliff racking up below an unclimbed feature. 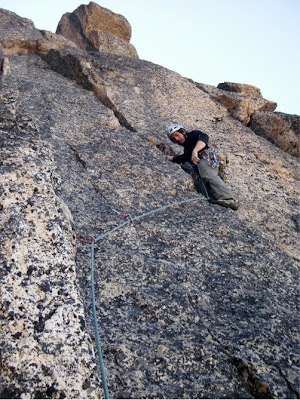 Alan had put a new route up on Half Moon the previous year and had scoped this line: a prominent prow leading directly up the tallest part of the Spire. While the climbing was not always clean, and the rock not always solid, we managed to put together a very direct line up the 900 ft face. Five hours after leaving the base, 7 from the car, we stood on top of a Cascadian first ascent. Butterface (III 5.10+ R), so named because the rock looked so striking from afar, but up close not so much, was established with no bolts, ground-up, onsight. After this short mission on Washington Pass I believe there is still a world of possibilities left to explore in my own backyard.